How did we get to August already? I shared a stand with the lovely Sian Patterson Ceramics from Glasgow who I have shared with before and will be again at Handmade in Britain in Chelsea. I thoroughly enjoyed this show and setting was stunning! What a beautiful part of the country! 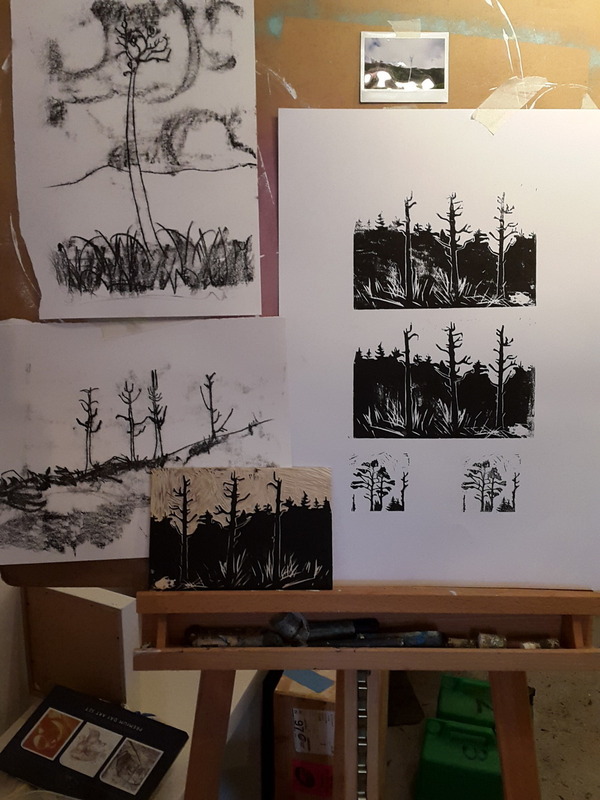 In the beautiful setting Of Talla Duisdale, I held a week long solo show incorporating my new pen and ink artwork, contemporary jewellery and also hosted 2 lino-cut workshops. It was a great chance to meet visitors and show my latest design to the local community as well. For the second year running my mum and I organised a local event, Made in Sleat, where 17 artists and makers from Sleat, south Skye, come together and exhibit their work for a week during the Skye festival. With more participants this year we had a mammoth job of setting up, hanging, labelling etc but the finished exhibition was a visual melting pot of mediums, techniques and proved to be a very successful show. So here is a breakdown of events and exhibitions yet to come, I will post in the next few weeks more in depth about each of them with exclusive peeks into what I am making! Thank you for reading, I shall leave you with a picture of me and my dog Holly out on the hill enjoying the light night (it was 9.30pm) and the 1 dry day! I have been working on some new artwork over the past few months and thought it about time I share some images. I was awarded a Creative Scotland Artist Bursary last year and have been slowly working on introducing artwork into my practice. At Edinburgh College of Art my previous Head of Department, Dorothy Hogg, strongly encouraged drawing alongside our practical jewellery classes and this has always played a major part in my designing. The project I proposed to Creative Scotland was to draw from commercial and ancient forestry across Scotland and feed this into artwork and jewellery. 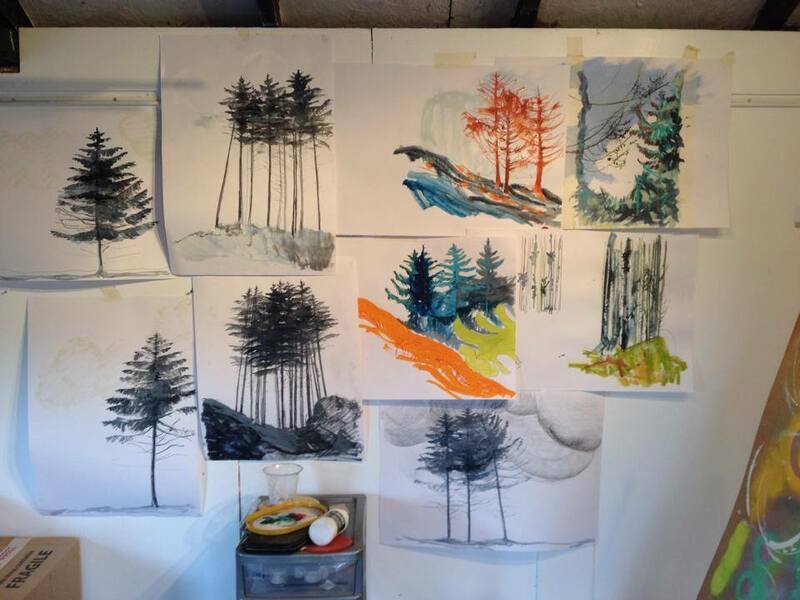 I have experimented with colour, pencil, ink and printmaking techniques, below are some images of my sketches...final pieces will be posted on my website in a special online exhibition.